We are hearing some good news. Google and Android community is reportedly developing the upcoming versions of Android, the Android 2.3 Gingerbread and Android 3.0 Honeycomb. The latest release of Android, 2.2 Froyo is already available for Nexus one, and other manufacturers are in the process of updating their devices. Android 2.3 Gingerbread upgrade will be available for all handsets and tablets meeting the hardware specification. 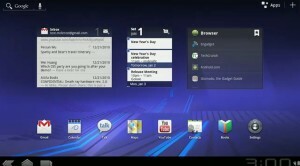 Android OS 3.0 Honeycomb would be a tablet only operating system. 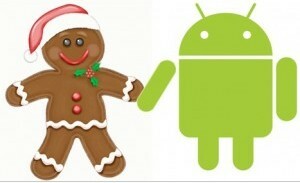 Its is rumored that Google will release Android OS 2.3 Gingerbread SDK on November 2010. The Android 3.0 Gingerbread will support high resolution screens, graphics and processing units and features that could be used in tablets. Fine tuned version of Android compatible with tablets. New home screen with interactive 3D effects and widgets. Google Maps 5.0 with 3D navigation. Totally improved browser with tabbed browsing, Google Chrome bookmark syncing, auto form filling and many other features. Access to Android Web Store. Improved 3D graphics, animations and support for dual core processors. 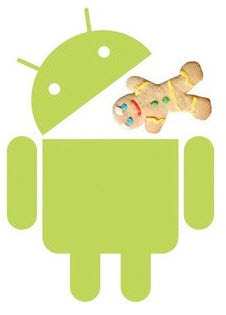 Google has confirmed that the next version of Android will be 2.3 Gingerbread. They have not announced its features. However, we believe that it would include those features mentioned by Vic Gundotra at 2010 Google I/O conference. 1. Bug fixes and improvements in the user interface. 2. Support for Voice input on web applications; translation, finding images and others. 3. Use accelerometer in Google maps. 4. Access Android market place from browser, mange applications and devices . When you download an application from your account, it will sync to the device through internet. 5. Send music to Android phone through internet. 6. Support for Google WebM video codec and new image format WebP. 7. Music streaming on Android player from iTunes or a song library. 8. New Web APIs that provides browser based access to camera, mic, navigation,and other system hardware. 9. Improved social networking features, cut-copy functionality. 11. Support from higher resolution mobile screen . Android 2.3 Gingerbread supported devices. Nexus One, Samsung Galaxy S, Galaxy Tab, HTC Desire HD, HTC Desire Z, Motorola Droid 2 and a few other handsets and tablets meets the hardware specifications for Android 2.3 Gingerbread. 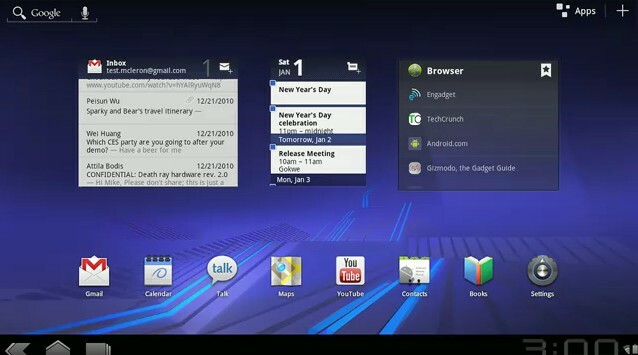 Google announced Nexus S and Android OS 2.3 features of November 6 2010. 1. The fastest Android OS. 2. Option to make internet call(VOIP/SIP) within the phone application. 3. Support for NFC hardware that can be used to read data from NFC (Near Field Communication) tags embedded in t-shirts, stickers and other products. 4. Improved gaming with less CPU usage, full OpenGL ES 2.0 support, and fast device response. 5. Support for WebM open source video codec. 6. Download manager for organizing internet downloads. 7. Support for Gyroscope sensor. 8. News Camera APIs that developers can make use to bring camera features in their applications. 9. Redesigned keyboard and improved text section tool. 10. Support for large and high resolution display devices and tablets. No custom UI (HTC Sense) is a bad move. That uniqueness over the iphone drones is a very special feature. I don’t want my phone to look exactly like yours. Bad move, bad. I disagree with you there, Stacy – having no support for customized UI will completely eliminate the need for slow companies with terrible customer support, like Sony Ericsson to come up with an update. You could just get the update from Google itself, and that way you wouldn’t need to worry about your 7 month old phone not being supported anymore, hence not getting the update at all. Don’t get me wrong, I like the idea of customized UI, and not having all Android phones looking the same, but hell – it’s not worth waiting half an year extra for every update, or even missing out on the entire update. Some countries have 24 month contracts when you buy a new phone, and people certainly don’t wanna get abandoned a few months after their purchase just because the phone is now deemed “old” – even if it’s a lot left of the phone and, perhaps, still powerful enough to run the next update! shut up stacy. if you want to be different then you should stop trying to get at every ugly guy you see. I’m in the same boat John is, I am currently stuck with a Motorola Cliq XT on Android 1.5 simply because Motoblur, Cliq XT, and 2.1 don’t mix very well, I spent good money on this phone, only for it to become obsolete pretty much the instant I bought it (I was told that an update to 2.1 would be out within weeks of buying it and that was 9 months ago..). Good move google. I unfortunately have to deal with the Sprint network and all of it’s crap. For those of you who think no UI is a bad move, or that being stuck with Android 1.5 stinks, Android 2.1 for samsung intercept has been a nightmare with it’s airplane mode issue. The phone will randomly switch into airplane mode without warning despite menus that tell you it is off. Sprint store staff blames it on corrupt apps downloaded from the market. Try dealing with that for the next two years and you will wich you still had 1.5 or the ability to upgrade to 2.3.